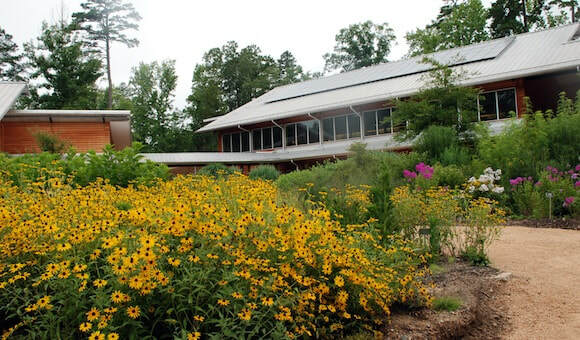 Our 2018 Annual Symposium will be at the Botanical Garden in Chapel Hill on March 20th and 21st. Registration closed March 14th at 5PM. This event promises to be very informative. Our line-up of presenters will be covering a range of invasive species topics! See below for full agenda. A networking opportunity for all; ample time is worked into the program to allow for mingling and for vendors to promote products and services related to invasive plant management. Vendor booths (see vendor/sponsor info below) and display areas for non-profit groups are available. In the afternoon of the second day you will have the choice of participating in one of the field trips or attending a workshop. Landscape Contractors - we have provisional approval for 8 hours of CEC. A reception will be held in the gardens from 5-7 to round out the first day of the symposium. For the purpose of raising money for the Iverson Scholarship Fund we will bring back the silent auction. Any and all items will be accepted into the silent auction as donations.... handmade/homemade items give a special touch but there is no restrictions on items. Vendors, please consider donating examples of the products/services you provide. "Our guiding mission is to inspire understanding, appreciation, and conservation of plants and to advance a sustainable relationship between people and nature." Problems with the website or registration process?